I am usually not one to write lengthy posts associated with wedding previews-- solely because I like the images to speak for themselves-- but today I am making an exception because this preview is for my baby cousin. She has been a built in friend and sister to me since she was born; but we have become so much closer over the past year, and I couldn't imagine my life without her. Since the passing of our grandfather ten months ago things have not been easy, but through group messages, snapchats, donuts, queso, and facetime, we've managed to be there for each other when it's been needed most. When she asked me if I would photograph her wedding, there was no way I was going to let anyone else take the job. Working for your family can be challenging, especially as an artist. Not only do you have to be on your *A* game; you have to deal with family members who don't quite "get" what you do, or understand that you are in work mode when you have a camera around your neck. I don't recommend always doing it, and you should never feel forced or corned into doing it, but if the time and place are right, do it. It's a different type of stress, but it has the potential to be so much more rewarding than your typical gig. Being able to connect with your subjects on a personal and emotional level is (in my eyes) essential to telling a real story, so having the opportunity to photograph subjects you've known your entire life should allow your work to shine. And boy, was Papa looking over us with lots of sunshine on that Friday afternoon in Pensacola Beach. We arrived in Florida amidst a tropical storm, and we were all quite nervous that it was going to rain for the wedding. When I say downpour, I mean an absolutely absurd amount of rain fell all of Wednesday, and a large portion of Thursday. There were double red flags (and a crazed photographer) on the beach, and I did not even want to begin thinking about the technical impositions of a beach ceremony being moved indoors. Thankfully, on Thursday afternoon, Mother Nature showed signs of improvement, and we woke up Friday morning to a perfectly sunny (but damn hot and humid) day. When I shoot a wedding, I typically arrive when hair and makeup is wrapping up, and start my day from there. But given the circumstance, I got to start the day by eating donuts and drinking champagne with my sisters-- a perfect combo that should indeed be done on more than just one's wedding day. I was able to watch my little sister do hair and make-up, my Grandma cry as Maria talked about the promise she made to be there for this day, and all of the beautiful, tender-hearted moments that happened throughout the day. I thought I would be able to control my emotions while working, but the tears came early and came several times. Just as I thought I was in the clear, Maria cleared the dance floor and dedicated a dance to my dad, who has been fighting cancer since January of this year (and who got cleared to come with us the week before the wedding.) I've never cried more while taking photos than I did in that three and a half minutes, but it made me realize how happy I was to be the one capturing those moments. Maria and Harrison's day was too beautiful for words, and I know that my Grandpa, as well as Harrison's dad, were watching over us with the biggest smiles on their faces throughout the entire day. 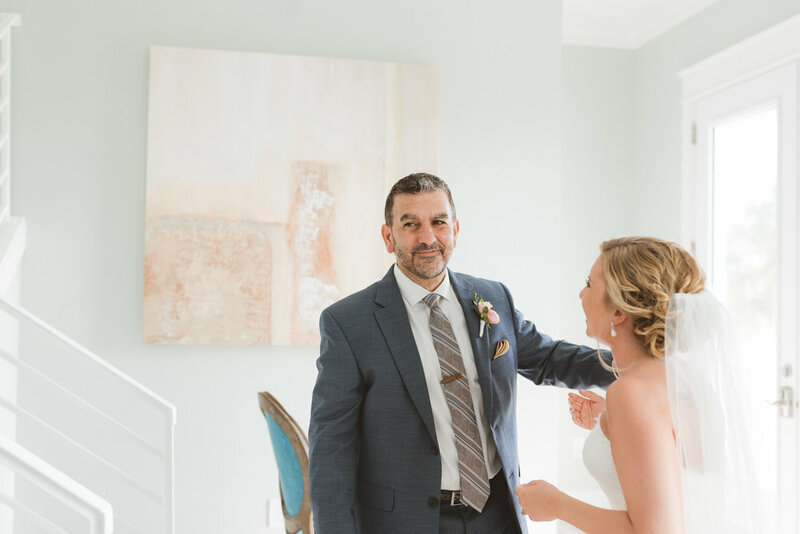 The love shared between Maria and Harrison is palpable, and the love showered on them by all of the family and friends that traveled to Pensacola for the wedding was a beautiful sight to see. We laughed (and laughed a lot at Michael), cried, and had a wonderful day celebrating two, equally wonderful human beings. I am honored to have played such an important role in their day, and I would do it a million times over again if it meant seeing how much Maria's face lit up when I showed her the first few images from their day. Maria and Harrison -- I love you both very much. Maria, thank you for trusting me to photograph your day. And Harrison, welcome to our crazy, Italian family. We're praying for you. 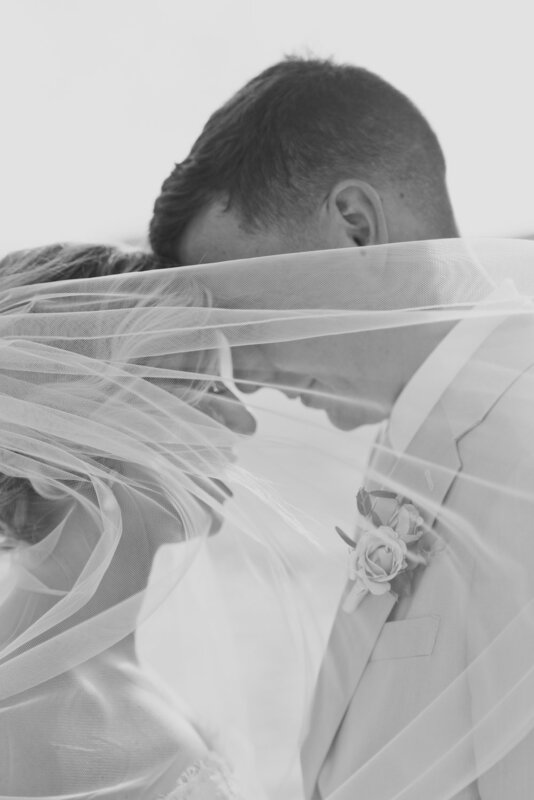 Less than three weeks after the wedding, Harrison, a Marine, was deployed. He will be gone for seven months, and I ask those of you reading this to keep him in your thoughts while he's gone.